Follow these steps to extend the life of your water heater and avoid any unexpected cold showers. A home with a broken water heater isn’t a happy home. Finding a replacement water heater takes time and money, and installing a water heater is one of those potentially problematic DIY projects that you may not want to take on. 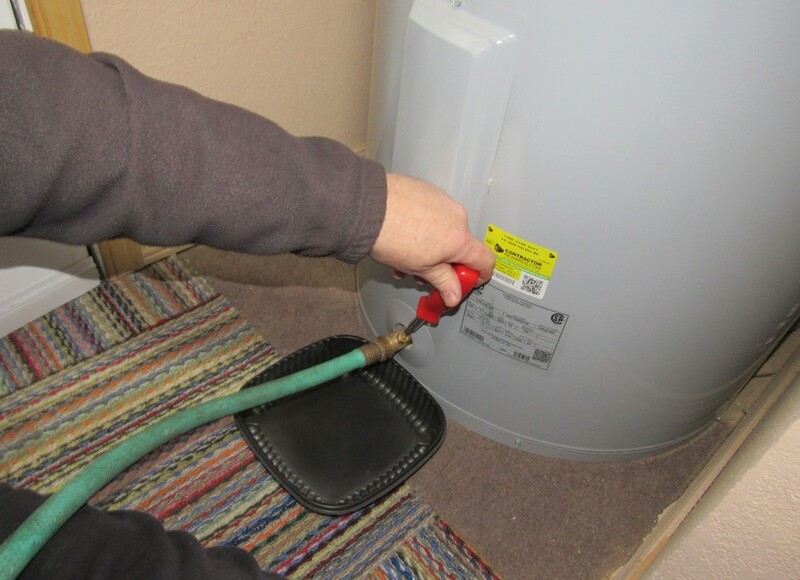 There’s no need to replace your hot water hear more than is absolutely necessary, so you should do what you can to extend the life of the water heater you already have. You may be asking, “What are the best water heater maintenance tips?” and “How often should you replace a hot water heater?” Both are great questions to ask if you want to avoid an unexpected cold shower. 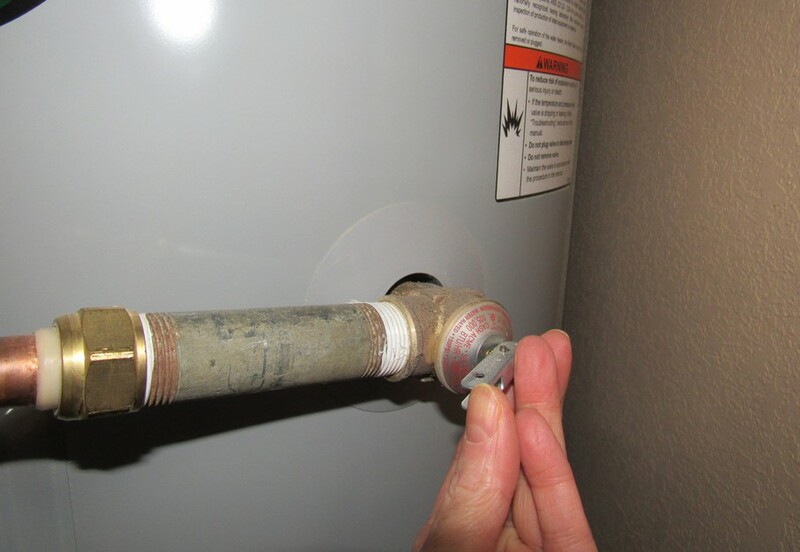 Let’s answer those questions as we learn how to maintain a hot water heater. Are you seeing any moisture, drips, or puddles near your water heater? The area around your water heater should be dry. Do you hear any funny sounds? All water heaters make sounds, but you don’t want to hear any gurgling or popping sounds. How’s your water color? If it’s showing a bit of tint, you might have rust in your water heater. You want your water running clear. Did you check the pipes leading to the water heater? Make sure they show none of the bluish tint that indicates oxidized pipes. A little oxidation can be cleaned off, but continual oxidation can lead to leaks. The copper pipes should look clean and sound. If you want to avoid potential issues and ensure your water heater has longevity, get in the habit of proper water heater maintenance. Tick off the items on this checklist at least twice a year and attend to any warning signs immediately. 1. Gather your tools. You’ll need a bucket or a bin. If your drain is very close to the floor as ours is, use a shallow container. We just use an old but clean take-out container. You’ll also need gloves and goggles. 2. Place the bucket or bin under the water heater’s faucet drain. 3. Turn off the power source to the water heater. For gas water heaters, turn off the gas switch to the pilot light. For electric water heaters, turn off the breaker to the water heater at your electrical breaker box. 4. 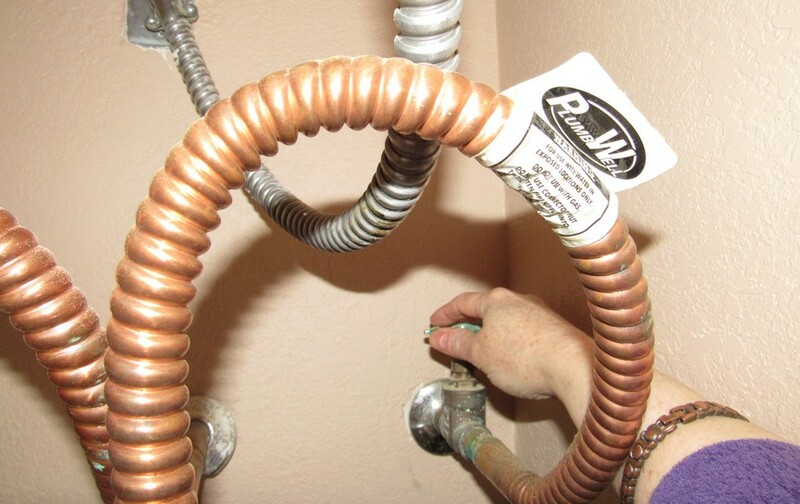 Turn off the cold-water pipe that runs to the water heater. 5. Pull the valve’s lever. As you do, closely look and listen. You should see a bit of vapor or water leave the valve and hear a puff of air. If you do, all is well, and you can close the pressure release valve and turn your power back on. If you don’t, you need to drain the tank and replace the valve. 1. As you did for checking the pressure valve, gather your materials. 2. Also, as you did for checking the pressure valve, turn off the power source to the water heater. 3. Placing a bin beneath the water heater’s drain valve in case the hose leaks, attach a garden hose to the drain valve. 4. 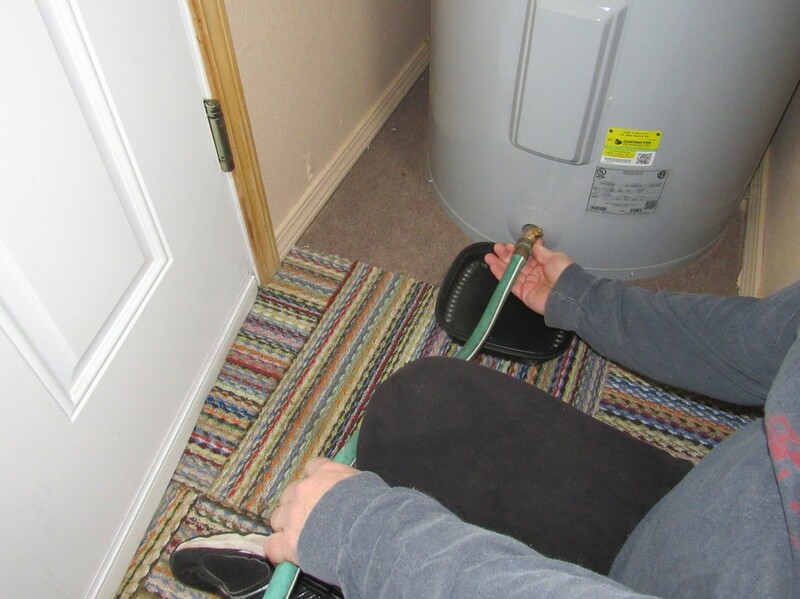 Stretch out the hose so that the opposite end of the hose drains into an area that won’t be harmed by hot water. 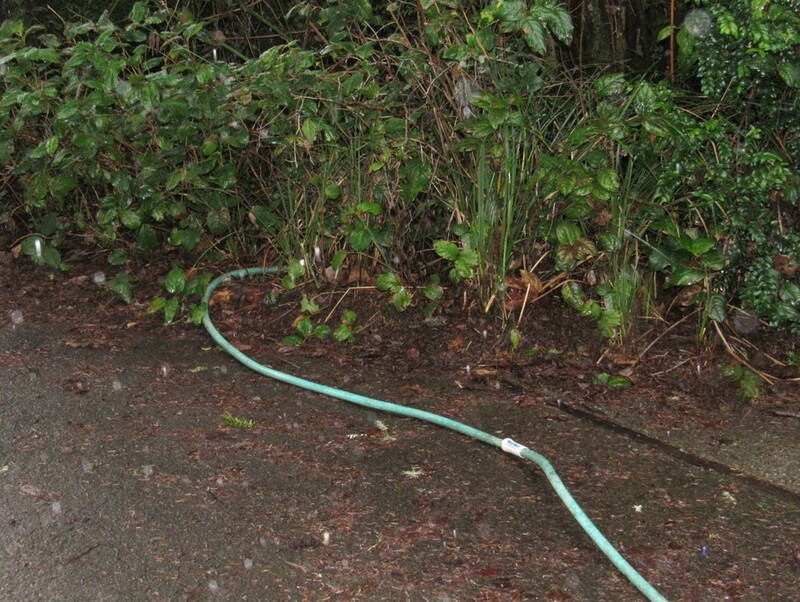 In other words, don’t drain your hot water onto your lawn or into fragile bedding areas. We drain ours into some scruffy wild foliage. 5. With the pressure valve open (open it as you did when you checked it), now open the drain valve. Most water heaters have handles that open the valve. Some, like ours, have a small valve you turn with a screwdriver. Let all the water drain out of the tank. Be sure you let it drain completely because this will remove as much sediment as possible. 6. 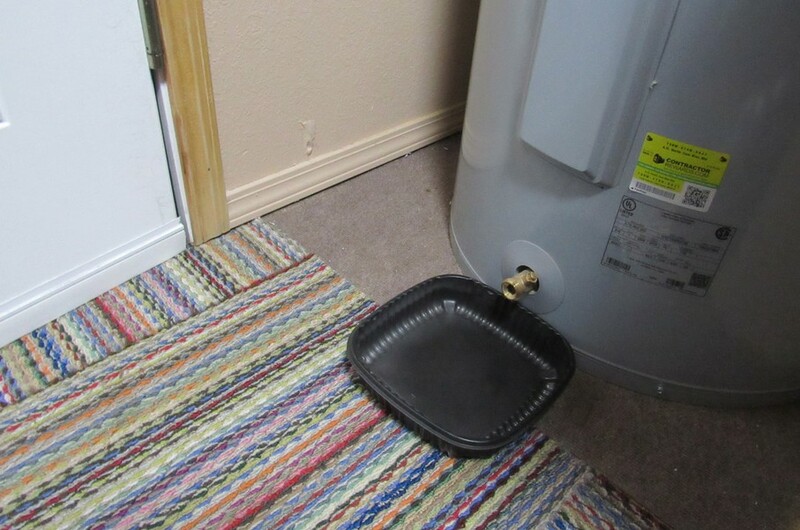 When the tank is drained, close the drain valve and disconnect the hose. 7. Close the pressure release valve. 8. Turn on all the hot water spigots in your home. 9. Turn on the cold water running to the tank. 10. Wait for the water to start flowing from your hot water spigots. Then let the water run for three minutes. This will give your water heater tank time to fill. You don’t want to turn on the power to the water heater before the tank is filled because doing so can burn out the heating element in the water heater. 11. Turn off the hot water spigots in your home. 12. After you have all the hot water spigots turned off, flip on the electric breaker for your electric water heater or turn the gas switch to run for your gas water heater. If you’re diligent about performing the water heater maintenance tips explained here, you should be able to get as much life as possible out of your water heater and avoid any cold showers.